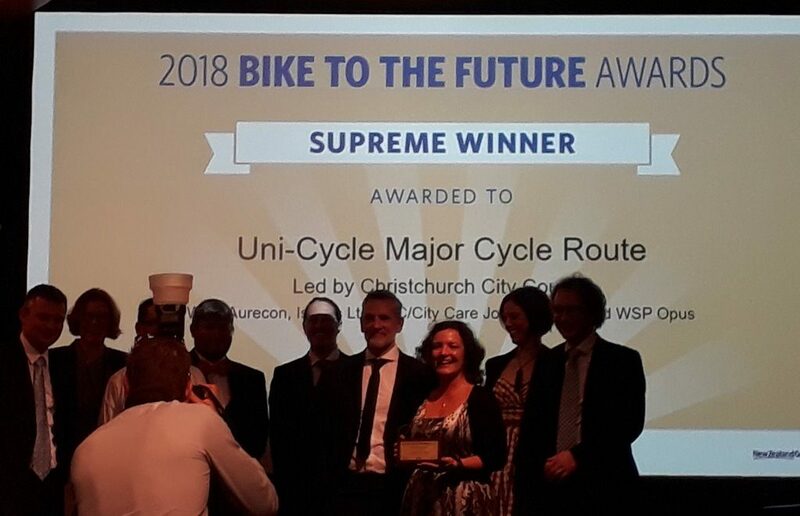 Christchurch City Council scooped the Supreme Award of the night for the Uni-Cycle Major Cycle Route, after the new cycleway had earlier picked up the “Built Excellence” award category. 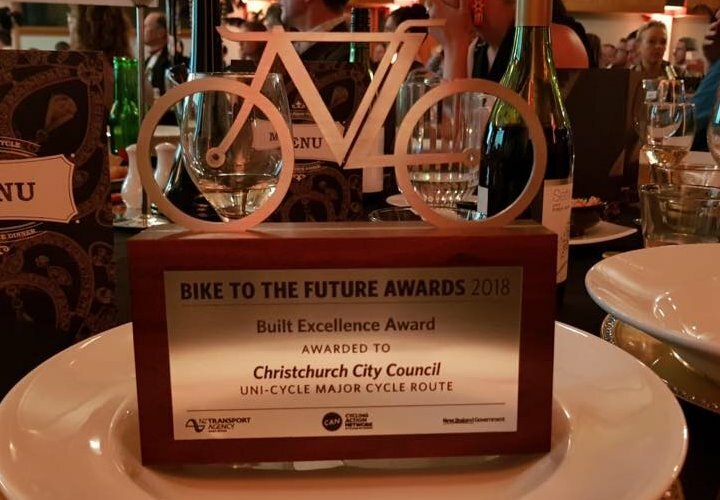 The judges said the Uni-Cycle is “an exemplar project” requiring extensive stakeholder engagement throughout the construction process to accommodate the needs of a university and two large high schools, whilst also maintaining the residential character of the areas the route passes through. It features a mixture of separated cycleways, shared paths, neighbourhood greenway, various signalised crossings and an automatic gated rail crossing. 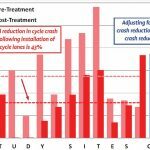 Since opening, the cycleway has seen a 50% increase in usage, well above initial projections. 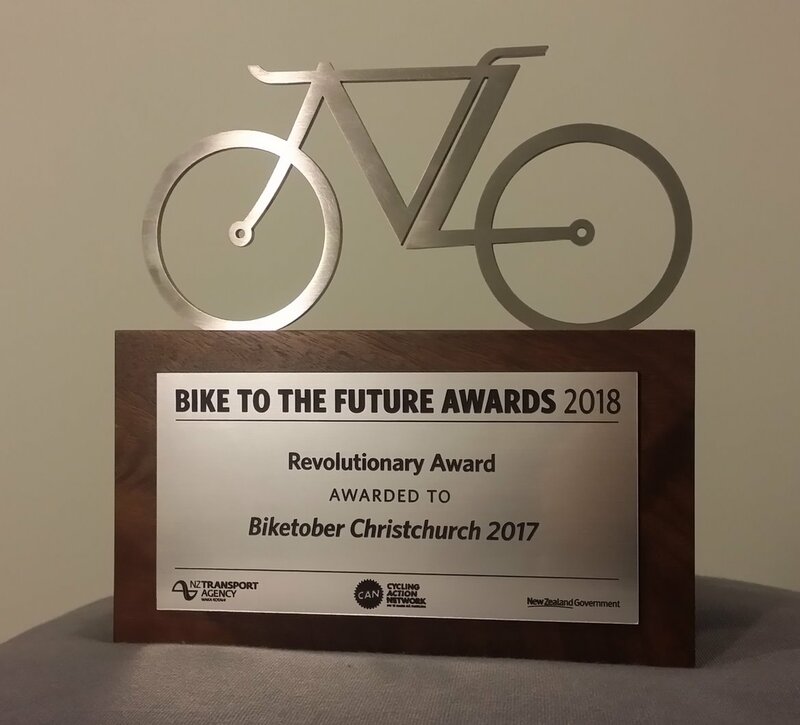 Also successful on the night was the Biketober Christchurch 2017 festival, which took out the “Revolutionary” award category for the best event. 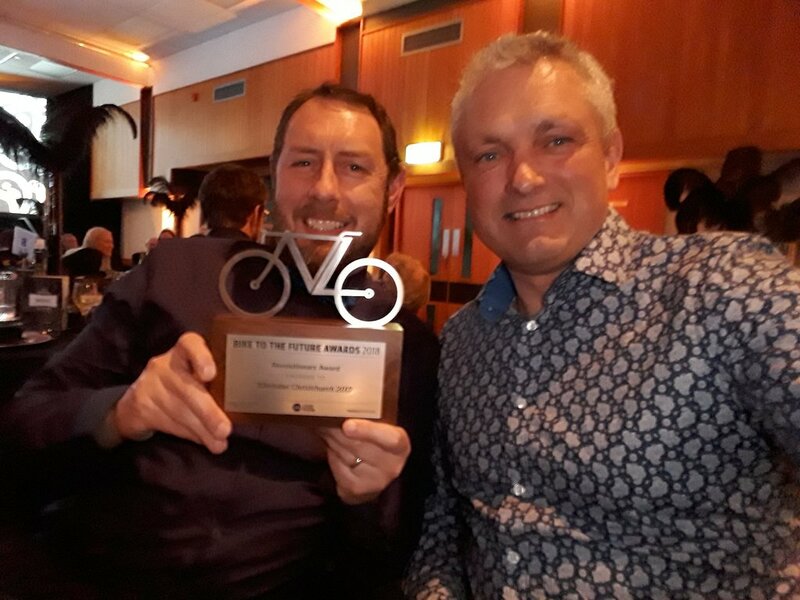 The month-long celebration of cycling last October featured over 60 different events aimed at getting people out on their bikes around Christchurch. This was very much a team effort including Spokes Canterbury, ViaStrada, Chch City Council and a whole host of volunteers from around the local cycling scene. As programme coordinator, I was very honoured (but also very surprised!) to be stepping up to receive the award trophy on the night. Talking to the judges afterwards, key to winning both categories was the clear numerical evidence of success. Being able to report on the great numbers taking part in the various Biketober events and the impressive growth in Uni-Cycle numbers clinched it; they also serve as a good model for other places to emulate. What in Chch could be nominated for the next Bike to the Future Awards? Yay for Christchurch! Well deserved and a great example to other cities! I am a daily user of the Unicycle route and really like it! It has a really good flow and feels safe so you can focus on your surroundings. What a giant step up from the white line cycle lanes that disappear when you need them most! Well done. The only critical comment I could make is that waiting for the signals at both Waimairi Rd and Deans Ave can take an awful long time. At peak traffic cars move so slow on these roads anyway that would not actually delay cars if the signals would prioritise cyclists (like on all the other signalised crossings). Congratulations to all winners and thanks for making huge efforts to make NZ a cycle friendly place! Next Next post: Guest Post – Sensibel: What’s your experience of cycling?